This is an example where the 2-pin mini-mold component was turned upside down. Previously, it was difficult to judge either OK or NG because there was no height information, which made it impossible to specify the height of the terminal. It will become easier to judge because the height data of the terminal can be obtained when carrying out an inspection with VT-S730. 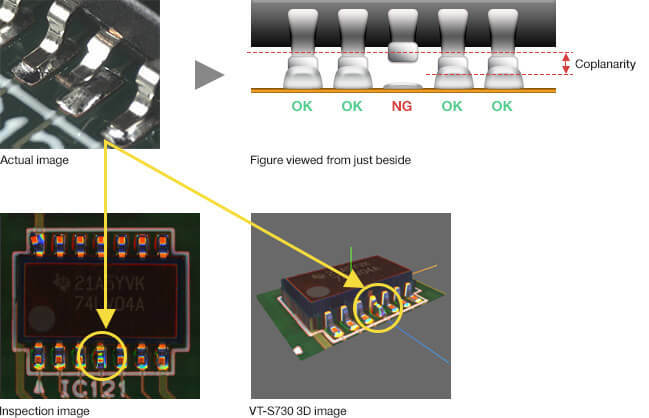 If the body color of the component is black and the PCB color is also black, the previous inspection method has not been able to accurately extract the component. VT-S730 can judge the component without being affected by color. There are various factors for the component to be turned upside down and mounted. For example, the component may be turned upside down when removing the component supply tape, or opening or closing the shutter. The measures include the adjustment of the mounter feeder and cassette and the review of conditions. This is an example of a lifting failure of the lead component. The height information of the terminal makes it possible to judge the coplanarity of the component. This function can analyze if the lifting failure is caused by a coplanarity abnormality of the component. If a lifting failure of the lead component occurs, it is necessary to check if the defect has existed since the time of delivery of the component or to check conditions of mounting process. 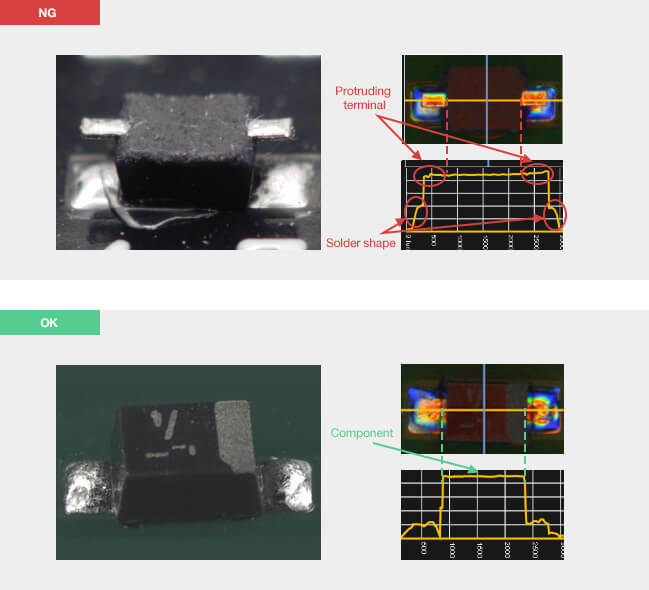 It is also necessary to control printing solder volume to be supplied to absorb the coplanarity. 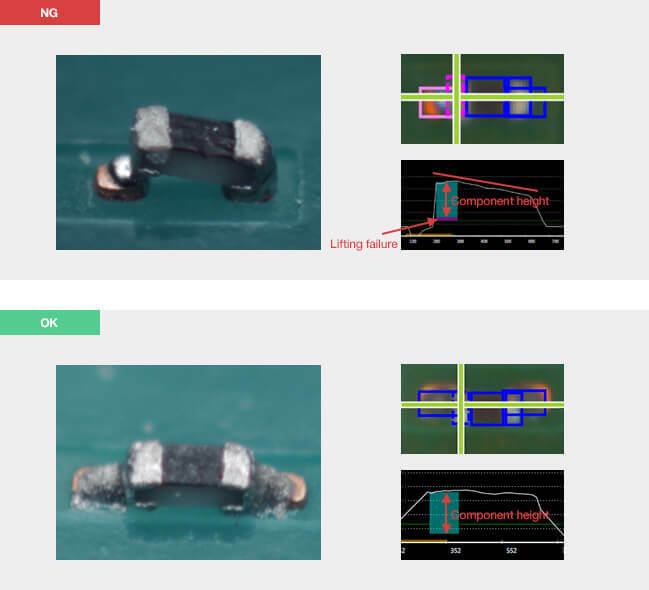 Here are examples of an accepted chip component R0402, and an unaccepted one because of a lifting failure. A judgment can be easily made because the height information of the component is available.